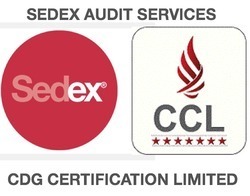 CDG Certification Limited provides sedex certification, sedex audit services in Delhi, Mumbai, Kolkata, Chennai, Bengaluru, Hyderabad & all parts of India. Our organization is offering an astonishing range of Sedex Certification Audit Services. Sedex offers an electronic system for collecting and analyzing information on ethical and responsible business practices in your supply chain. In addition to this, these services are admired for its low cost and timely execution. SEDEX is a secure online database, as well as as a supply chain management tool, helping companies to identify, manage and mitigate ethical risks in global supply chains. Sedex engages with all tiers of the supply chain with the aim of driving improvements and convergence in responsible business practices. Members can share and manage information in four key areas: Labour standards, Health and Safety, the Environment and Business Ethics. SEDEX members span over 150 countries in many industry sectors. Since its launch in 2004, over 26,000 organisations from around the world have chosen the SEDEX platform to manage their ethical supply chain data. For buyers – Sedex offers an electronic system for collecting and analysing information on ethical and responsible business practices in your supply chain. For suppliers – Sedex provides an efficient and cost effective way of sharing ethical information with multiple customers, helping cut down on unnecessary paperwork and saving you time and money. As the largest collaborative platform for sharing ethical supply chain data, Sedex is an innovative and effective supply chain management solution, helping companies to reduce risk, protect their company reputation and improve supply chain practices. To ease the burden on suppliers facing multiple audits, questionnaires and certifications. To drive improvements in the ethical performance of global supply chains. CDG arranges sedex audit through a sedex recognised CB. Contact us today for SEDEX Certification. Sedex Advance is designed for Sedex members of all types, including Buyers (A Members), Buyer/Suppliers (AB Members), Suppliers (B Members) and Sedex Auditor Members. The platform provides a host of new functionality to help buyers, suppliers and auditors implement responsible sourcing programmes. Sedex offers a simple and effective way of managing ethical and responsible practices in your supply chain. Auditing your suppliers and internal sites of employment can be an effective way to verify information and identify any potential issues.To help members with this often time consuming and resource heavy process, Sedex offers an Audit Management service. In order to effectively manage ethical risk in your supply chain, you must first identify where the risks lie. The Sedex Risk Assessment Tool helps Sedex members to manage their supply chain data at a more sophisticated level, by offering enhanced risk mapping, benchmarking and reporting functionality. The risk score is calculated using inherent risk (based on country, product area, sector profile and site function) and management proficiency risk (based on data from the Self Assessment Questionnaire) – the combined overall risk is based on a combination of these two scores. Sedex stores information on ethical and responsible practices covered by ILO Conventions, ETI Base Code, SA8000, ISO14001 and industry specific codes of conduct. We are offering a wide array of SEDEX Certification Services. Our offered services are highly appreciated by clients for their low cost and accurate results. Also, these services are rendered by employing highly experienced team members. CDG provides Sedex audit and compliance services in Delhi. We have experienced auditors for Sedex and other social standards. We provide SEDEX Audit, SEDEX compliance services in Delhi. 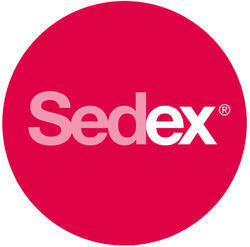 Sedex is a largest Ethical Supply Chain Group. Sedex code is based on ethical and responsible practices covered by ILO Conventions, ETI Base Code, SA8000, ISO14001 and industry specific codes of conduct. Sedex Social standard ensures the implementation of ILO convetions and ethical production in the complete supply chain. Where A membership is suitable for retailers, NGOs, charities, and government organisations who wish to view and run reports on ethical trade information in their supply chain. AB membership is agents, importers, farms/growers, manufacturers etc. with 5 or more suppliers who wish to share their ethical data with customers and also to view and run reports on ethical trade information in their own supply chain. B Membership type is typically suitable for farms / growers, manufacturers, service centres etc. with fewer than 5 suppliers who only wish to enter and share ethical information on their own site of employment. If you have been requested to join Sedex by one of your customers it is likely that they see Sedex as an important part of their responsible sourcing practices. It is becoming increasingly common that companies see Sedex membership as a condition of supply. You should see membership as something that can benefit not only your customers but also your own company. Sedex provides a framework for gathering and sharing information but everyone in the chain needs to verify the accuracy of the information submitted and act on that information in order to drive improvement. As Sedex enables sites to share the same data with many customers, there is a strong incentive for suppliers to join. This helps reduce the duplication of information, allowing both parties to concentrate on making improvements, rather than on numerous self-assessments and audits. Sedex enables you to specify which of your suppliers supplies to each of your customers. You need to agree with your customer the best way of handling your supply chain, to ensure that they have access to the most accurate information possible. Agents need to register as B (Supplier) members on Sedex and record their trading relationships. The agent is then responsible for making sure that their suppliers register on Sedex and grant you access to their data. Sedex stores self-assessment data as well as ethical audit reports. You are not required to have an audit in order to join Sedex. However, when you do have an audit carried out, you can make the audit report available on Sedex and use the system to communicate your corrective action plan and progress to your customers. Sedex does not prescribe a specific type of audit. Sedex provides a place to store any and all ethical audit reports, with a summary of non-compliances held in a common format. However, Sedex has created the Sedex Members Ethical Trade Audit (SMETA) – a common audit methodology and report format compiled of best practice in ethical trade audit technique. Sedex does not restrict who can carry out an audit, although some companies may recommend certain auditors to their suppliers. To furnish the diverse requirements of our valuable clients in the best way, we are engaged in offering SEDEX Audit Company. SEDEX is a secure online database and a supply chain management tool, helping companies to identify, manage and mitigate ethical risks in global supply chains. Sedex engages with all tiers of the supply chain to provide driving improvements and convergence in responsible business practices. SEDEX is a secure online database, as well as as a supply chain management tool, helping companies to identify, manage and mitigate ethical risks in global supply chains. Sedex engages with all tiers of the supply chain with the aim of driving improvements and convergence in responsible business practices. Members can share and manage information in four key areas: Labour standards, Health and Safety, the Environment and Business Ethics. SEDEX members span over 150 countries in many industry sectors. Since its launch in 2004, over 26,000 organisations from around the world have chosen the SEDEX platform to manage their ethical supply chain data. Sedex defines the Supplier Ethical Data Exchange, it is a non-profit organization and introduces to drive ethical business practices. Sedex helps to maintain ethical information in a simple and effective manner. It is a secure online database which allows the registered members to share, store the information in four key areas:- Health and Safety standard, Labour standard, The environment and Business ethics. SEDEX (Supplier Ethical Data Exchange) is a world renowned online platform. As a visible member of the SEDEX database you show your customers and partners that, at your company, the principles of ethical and social sustainability have priority and are respected. Although local and national laws provide the basis of a company’s policies, internationally recognised standards such as the Ethical Trade Initiative (ETI) Base Code and the International Labour Organisation (ILO) Conventions have been created to drive convergence in policies and principles.Sedex is an online database which allows companies to store and view data on ethical and responsible business practices. Sedex does not set any standards or determine the policy of its members. It is purely a tool for facilitating access to information. Sedex aims to prevent the unnecessary duplication of information. SEDEX is driving convergence in ethical trade and believe that Sedex can actually help to reduce bureaucracy. By becoming a member of Sedex you only have to fill out one questionnaire and can share this with multiple customers. The rules of Sedex require members to use their best endeavours to ensure that the information placed on Sedex is correct. However, SEDEX do not verify or validate this information. If you need validation of the data SEDEX suggest that you request a third party ethical audit to be conducted at the supplier’s site. Sedex provides an efficient and cost effective way of communicating with your customers, by making one set of data available to multiple customers. This helps reduce the need for multiple audits, allowing both parties to concentrate on making improvements. Being on Sedex does not mean that you have met any ethical standards or are in compliance with any code, but it does mean that you have committed to continuous improvement. It is up to each customer to assess their suppliers’ information on Sedex and to decide whether it meets their own standards. Sedex provides an electronic system for collecting and analysing comparable information on ethical and responsible business practices. It can be accessed by any supplier or site, anywhere in the world, providing they are able to use the internet. 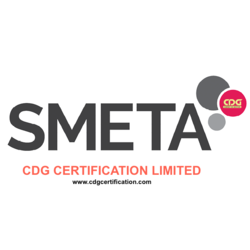 Being a member of the Sedex Associate Auditor Group, CDG Certification Limited can conduct SMETA audits in compliance with the latest Best Practice Guidelines (SMETA 6.0). Our highly qualified auditors carry out on-site observations, conduct interviews with factory management and workers, inspect documents provided by the factory, and present their findings in a SMETA Audit Report. Based on the audit report, our experts can prepare a SMETA Corrective Action Plan Report (CAPR), outlining the improvements that the factory must make to achieve compliance. 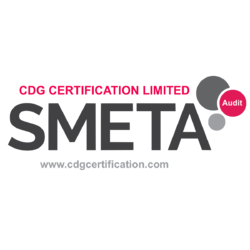 CDG is the most trusted name in SMETA Audit services. SMETA 2-Pillar audits are governed by the standards contained in the ETI base code. SMETA 4-Pillar audits add more extensive environmental management requirements as well as business practices. These additional pillars are not required for all Sedex members and it is important that sites of employment and auditors are clear when these extra modules are required. Reporting can be done through the Sedex database, depending on your requirements. Usually, eligible sites complete a self-assessment before audits start. Ask for a pre-audit information when applying. SMETA 4-pillars was designed for, and is primarily used by, Sedex members to help meet objectives including promotion of responsible sourcing within the supply chain and improving ethical audit effectiveness and efficiency.